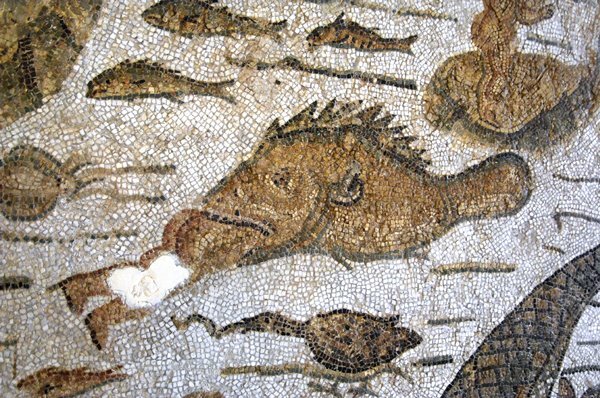 Fish in the Mediterranean aren’t what they used to be. Commercial and recreational fishing have decreased population sizes and also made individuals smaller, (the young mum affect) since big fish are kept and smaller ones thrown back. To determine whether protected, no-catch areas boost fish size and density, . . . (government educators) from the University of Salento in Lecce, Italy, and Stanford University have to understand what fish populations were like in the past. —big enough to swallow a fisherman whole. . . . . it certainly depicts an animal much bigger than today’s two-foot-long average. The (government educators) have found bigger groupers in protected areas, but populations outside the no-catch zones aren’t recovering in the same way. Are the days of man-sized groupers in shallow waters gone forever? GAWM does not support government education, or ideas that entail religious bottom-up designers characterized by nature-admonishment. We at Greater Ancestors have a greater science than the nature-based sciences deceptively touted as observable but requiring a host of religious foundational principle, the main one being a belief of unification of separate organisms. The grouper observably was larger in the past this is no surprise, the facts are that all animals were bigger better stronger, faster and smarter in the past.